Provide a single pane of glass view of real-time monitoring, predictive future capacity, and workflow management to maximise efficiency and optimise costs. We offer a number of premium DCIM data centre services from our expert in-house integrations specialists. 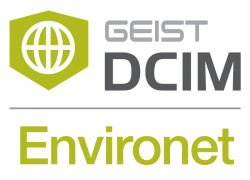 We provide a comprehensive process for implementation of your Environet DCIM system. SRA Solutions offer a one-stop shop for all your DCIM solution needs. Environet DCIM makes data centre management simple by providing an easy-to-use, holistic view of the data centre. Environet provides the data granularity required for efficient management of the data centre. With unprecedented visibility and management over the environment, power consumption and cooling —Environet transforms complexity into simplicity. Its interactive interface delivers critical information to drive knowledge-based decision making. Access to real-time, holistic information about power, environment and process empowers users to proactively manage moves, adds and changes. With Environet Facility, decisions are made with speed and confidence—not guesswork.